MELBOURNE, Australia (AP) U.S. captain Tiger Woods will have discussions with golf officials in Melbourne on how to best prepare his team for the 2019 Presidents Cup next December at Royal Melbourne. Woods, in Melbourne for a promotional visit, said the talks later Thursday would focus on the options of the Americans playing his Hero World Challenge in the Bahamas, coming to Melbourne the week prior for practice with sand-belt techniques, or playing the Australian Open as the lead-up event at The Australian in Sydney. "We have to figure out some logistical things between now and then and that's the reason I'm here," Woods said. "We've got a few meetings here today to try to get a plan going forward so we can get the best that we can at the Hero as well as get everyone here from the Bahamas rested and prepared and ready to play." Woods indicated that no announcement would be made on the outcome of the talks until he returned to the U.S.
Officials announced last month that the Australian Open, the fifth-oldest championship in golf, would be played Dec. 5-8 and organizers were excited about another strong field. The Presidents Cup is set for Dec. 12-15. Woods was a rookie on the 1998 American team that lost to the Internationals for the only time in the history of the event. Many on the U.S. team played the Australian Open at Royal Adelaide that year the week prior to the Presidents Cup. "It was late in December and we didn't have the wrap-around schedule that we do now. The guys took quite a bit of time off and, quite frankly, we weren't prepared to play and we got smoked," he said. "I would encourage them to stay competitive late in the year. That's what we learned in `98, the guys weren't competitive, they had shut it down. So, hopefully, they'll play my event in the Bahamas. If not, they'll stay competitive, stay sharp. Trying to get guys to stay sharp when it's their break time is going to be the challenge." Woods said he will tailor his 2019 playing schedule in a bid to be playing captain in his ninth Presidents Cup. He shares the record of 24 wins with Phil Mickelson and had a 2-3 record in 1998 and again in 2011 at Royal Melbourne. "I'm part of the team either way. 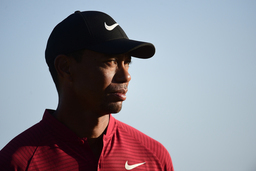 After the (2019) Tour Championship, we'll have the top eight guys and, hopefully, I'll be part of the eight," Woods said. "If not, myself and my vice-captains will figure out among the other players who are the best four players to serve this team." Only Hale Irwin has played the Presidents Cup as a captain when he performed dual roles for the U.S. in the inaugural 1994 event. "I got a little bit of experience (in dual team roles) as vice-captain this past year with the Ryder Cup," Woods said. "Jim (Furyk) thought my role was better being focused on playing. I was part of conversations of who should be part of the team and now fast-forward to next year and I'll be relying on my vice-captains to get a lot of their opinions and also my team, whether I can play and do both roles." Woods said he didn't think Royal Melbourne had changed much in the seven years since he last visited Australia. "It really hasn't, it looks about the same," Woods said. "It's one of the most unique courses you can play; it's so short, so fast and so tricky."